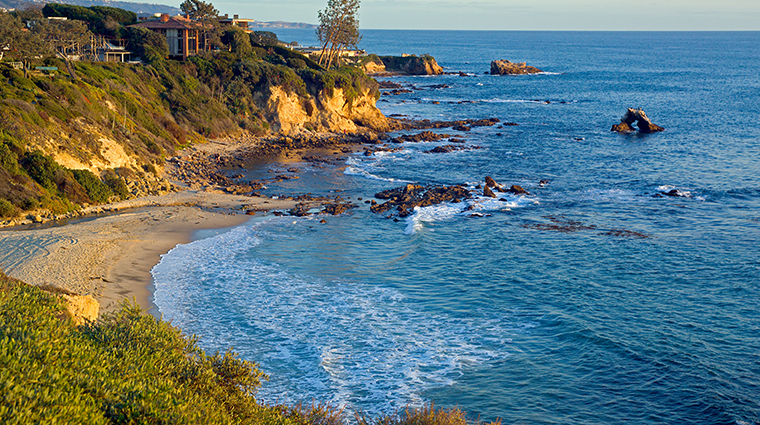 Orange County is so much more than a mass of suburbs. The area has wide, beautiful beaches and charming coastal towns with gorgeous harbors (Newport), art galleries (Laguna) and tree-lined coves shading beautiful yachts (Dana Point). You could definitely spend an idyllic vacation here, especially considering that the area is also home to luxurious resorts—several Forbes Travel Guide Five- and Four-Star resorts are located here. These resorts have top-notch spas and restaurants, making a stay here relaxing and pampering. Catalina Island is also located nearby, and it’s a place that locals and tourists both love. Catalina doesn’t have the white sand and blue-green water of typical island vacation spots, but it has a charm of its own. The island’s landscape is identical to the mainland, with the dry, chaparral topography that characterizes most of Southern California. You’ll see more craggy cliffs and shores than wide-open beaches, and the water is a deep navy blue where it meets the island’s edge. So while it may not be a sunbathing mecca, Catalina’s warm, clear water (with temperatures in the mid to high 60s) and scenery make it ideal for kayaking, windsurfing, scuba diving and snorkeling. The island’s hilly landscape also provides excellent terrain for hiking, bicycling and horseback riding. The quaint town of Avalon is home to the charming Inn on Mt. Ada, the former colonial-style home of chewing gum magnate William Wrigley, Jr. Of course, Orange County is also known for major attractions such as Disneyland and Knott’s Berry Farm. If you have time, you can also hop over to Disney’s California Adventure, a theme park that specializes in more intense rides and is the new host to Disney’s Electrical Parade, a nighttime event that showcases light-bulb-encrusted Disney floats. Knott’s Berry Farm is another fun diversion for the family with rides and games.